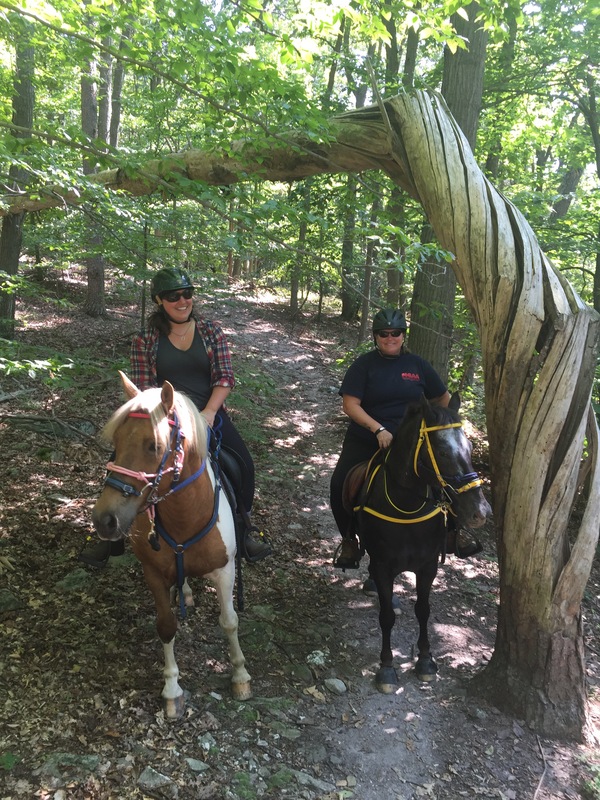 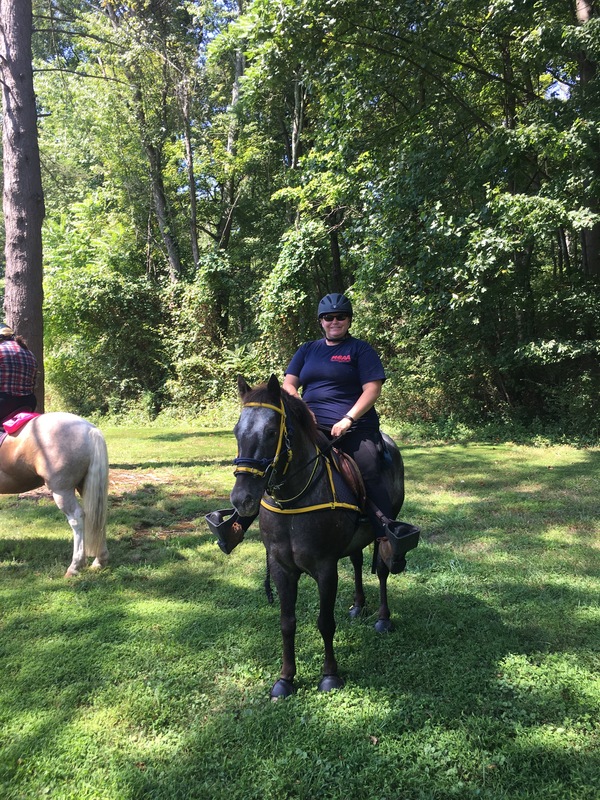 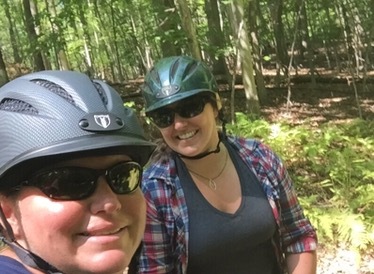 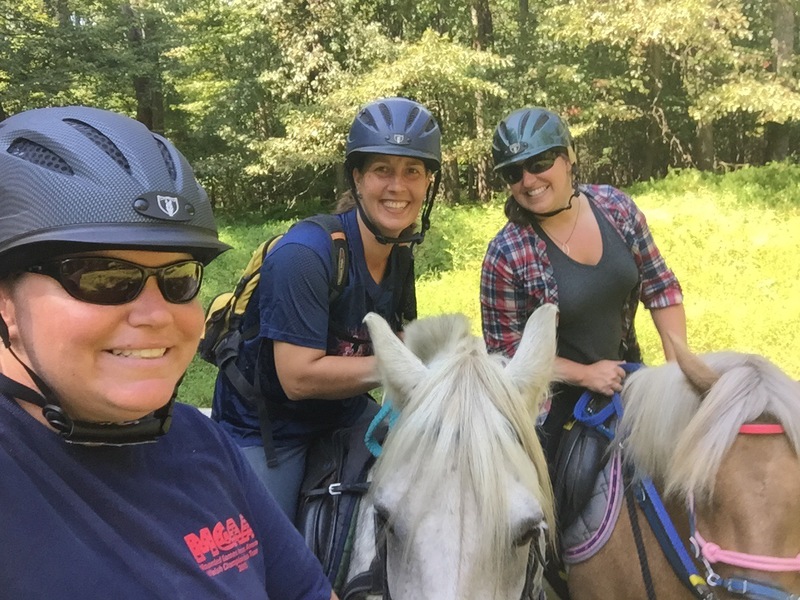 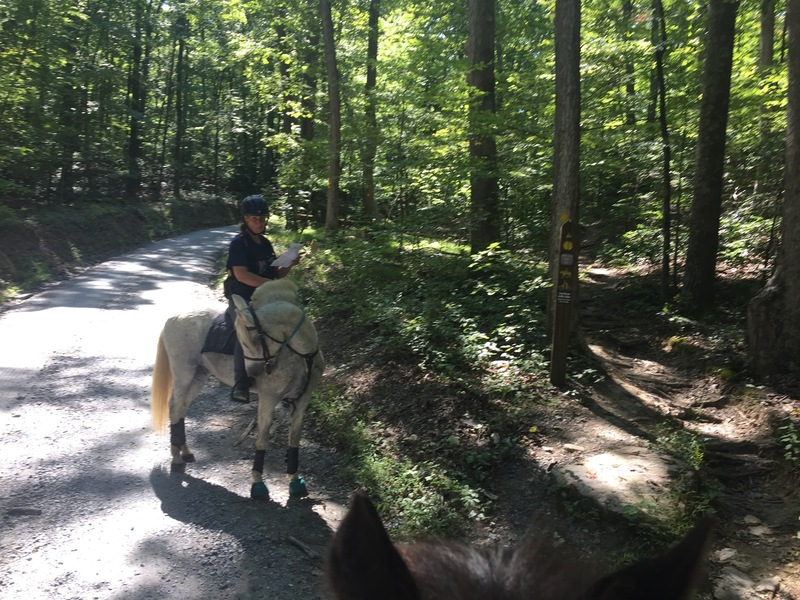 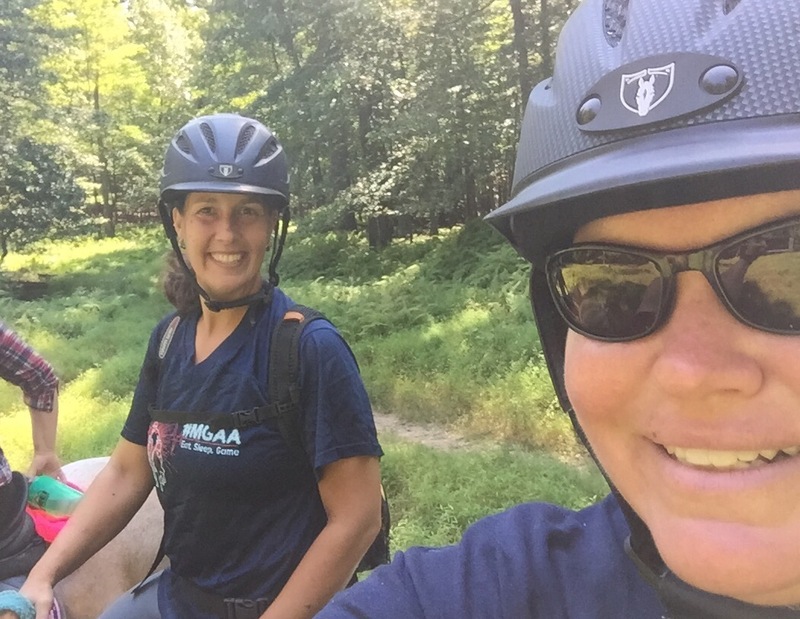 Our next Maryland pony adventure was a trail ride at Sugar Loaf. 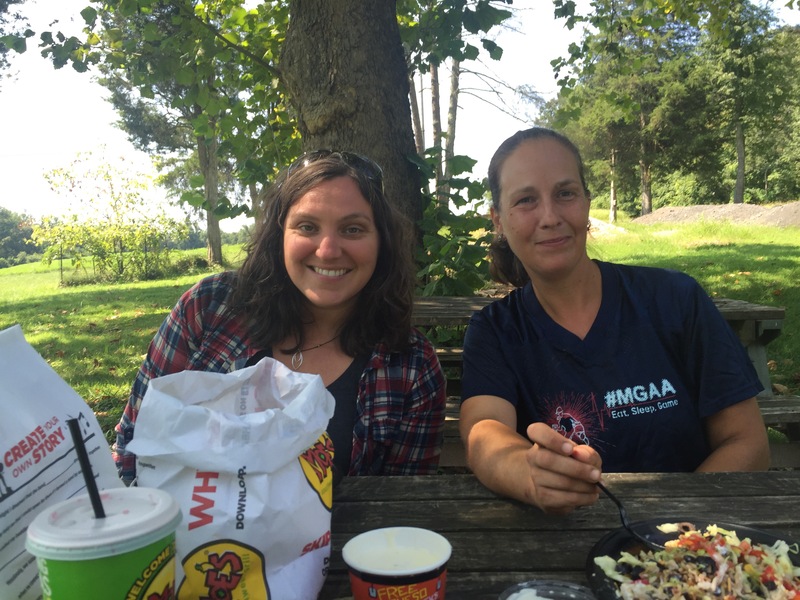 Kerri and I met up with Lindsey at a designated parking area and woofed down some lunch before we headed out on the horse loop. 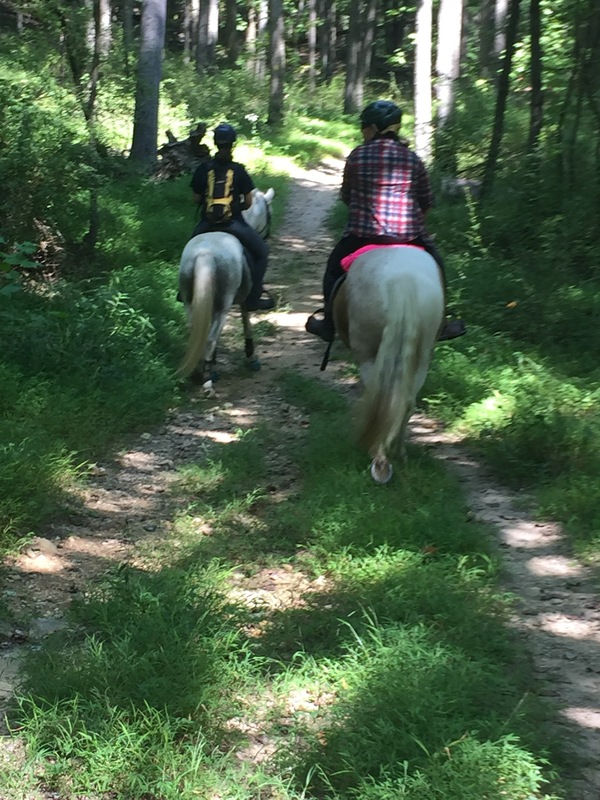 It was a nice 2 hour ride, about 7 miles, on manicured and well marked trails. 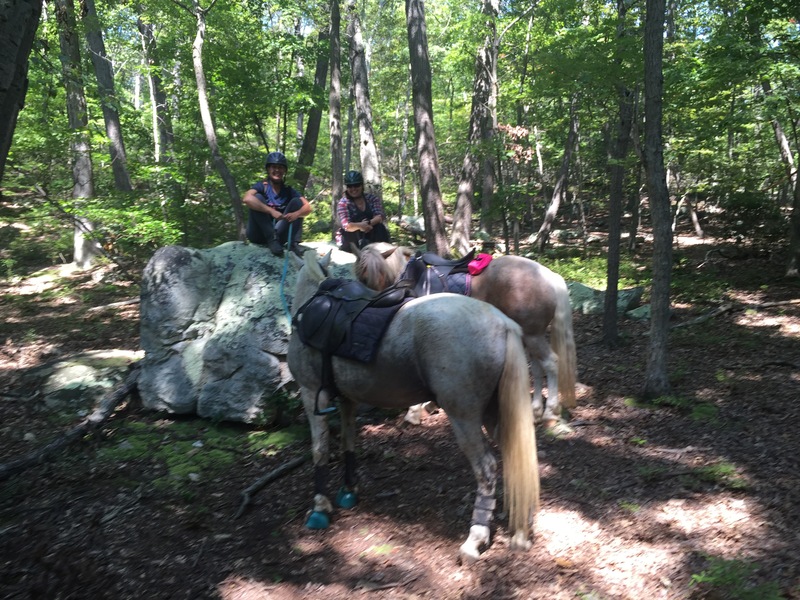 It was a really lovely ride and we had a great time. 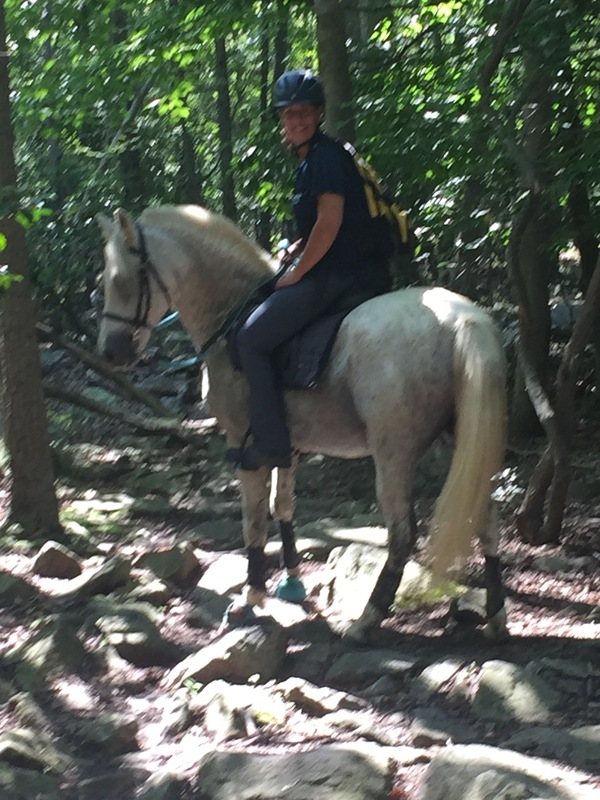 We also ascertained that Lindsey is not the best at trail navigation. 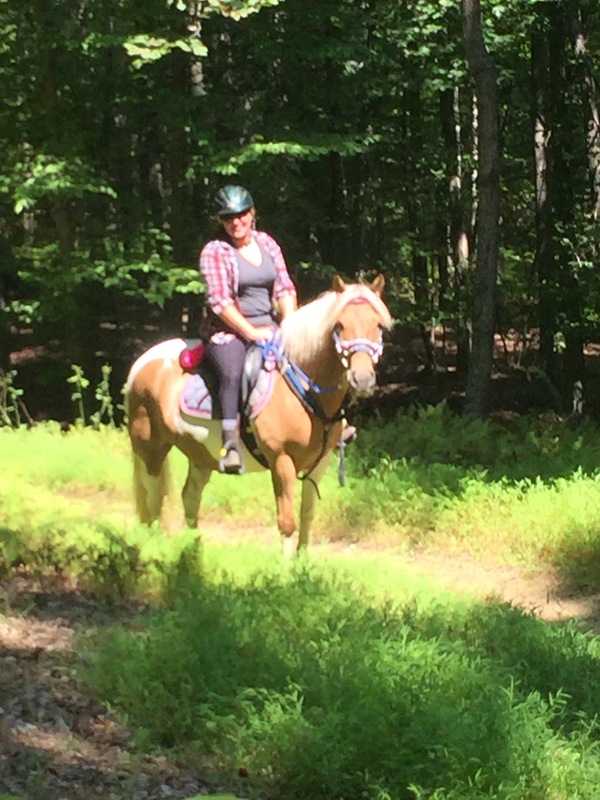 But, she is well improved already since the previous ride a few days earlier.